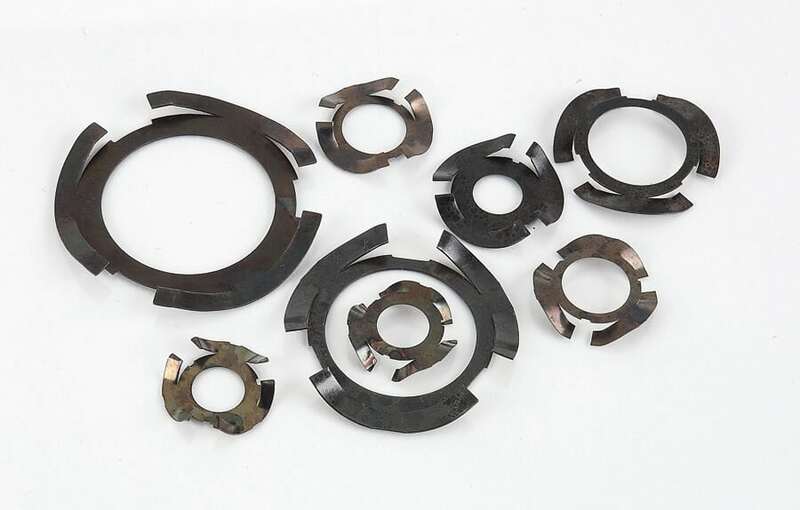 Finger Springs are used to preload ball bearings and to reduce vibration in precision hard drive assemblies and other applications where light to medium loads are needed in a small space. Can be used at high speeds. Finger springs reduce noise and end play and do not increase in diameter during loading. Contact points are equal to the number of fingers. Finger height is approximately 0.125 inches, except for MF0595-010, which has an approximate height of 0.09375 inches. All parts have six fingers, with the exception of MF0595-010, which has three fingers.